Wargaming today announced Project R, the brand-new community campaign for World of Warships, is now live. In Project R, players must reach various milestones to earn Pearls, which they use to rebuild the famed Japanese destroyer Kamikaze with unique camouflage, as well as unlock in-game rewards. To earn Pearls, captains must challenge special “Project R” in-game missions. By completing these missions and achieving various milestones, they can also earn credits, Premium Account, camouflage and other boosts which are based on an individual’s contribution. 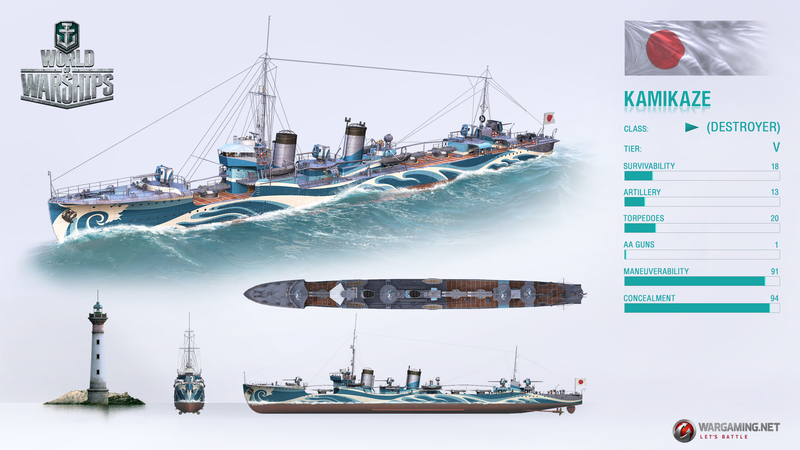 If the community reaches the milestone of 32.5 million, Kamikaze will be completed and 1,000 Japanese destroyers will be randomly given to participants who collected 150 Pearls or more. “Project R” lasts for five weeks, giving the whole community a boatload of time to band together and scourge the oceans in search of awesome rewards.